It definitely feels like autumn here today. It's in the 30's, overcast, and quite windy. But that didn't keep us from attending the last day of the farmer's market for the season. We also brought back those butternut squash, some sweet potatoes and a bunch of apples for baking. 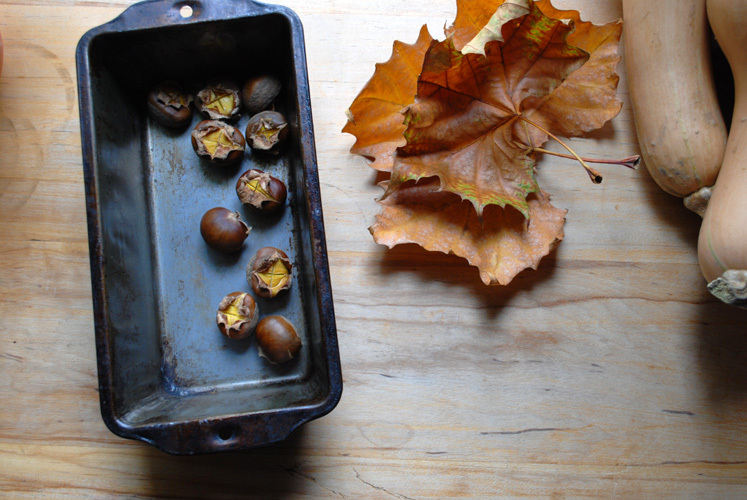 Have you ever tasted roasted chestnuts? They are sweet, buttery and soft. Yum yum.
} Rachel's beautiful leaf in her new shop!